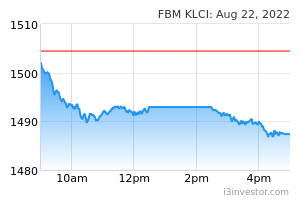 The FBM KLCI (-0.3%) registered its third straight session of decline, dragged down by the sluggish Chinese economic data, coupled with the dwindling optimism over the U.S. President and North Korean leader Kim Jong Un’s meeting that saw no agreement signed. The lower liners – the FBM Small Cap (-1.6%), the FBM Fledgling (-1.3%) and FBM Ace (-1.8%), all fell, while the broader market was painted in red. Market breadth remained negative as decliners thumped advancers on a ratio of 702-to-241 stocks. Traded volumes, however, rose 17.8% to 2.57 bln shares on escalating selling activities. Two-thirds of the key index constituents fell, dragged down by Nestle (-50.0 sen), followed by Petronas Gas (-16.0 sen), PPB Group (-14.0 sen), Top Glove (-14.0 sen) and Hartalega (-12.0 sen). Notable decliners on the broader market were Time dotCom (-44.0 sen), Carlsberg (- 30.0 sen) and Fraser & Neave (-28.0 sen). 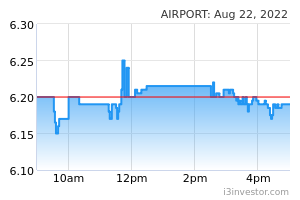 Tong Herr Resources and Air Asia slipped 33.0 sen and 27.0 sen respectively after delivering weak quarterly earnings. Meanwhile, among the biggest gainers on the broader market include Dutch Lady (+54.0 sen), Padini (+34.0 sen), Apex Healthcare (+25.0 sen) and BAT (+20.0 sen). 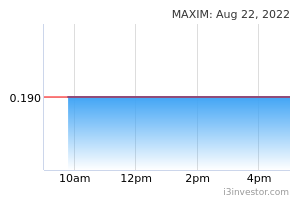 MAA Group (+30.0 sen) hit limit up after announcing its privatisaion plan. Meanwhile, Petronas Dagangan (+10.0 sen), Axiata (+7.0 sen), IHH (+4.0 sen), RHB Bank (+4.0 sen) and Genting (+5.0 sen) led the local bourse advancers list. Asia benchmark indices ended in the red yesterday as the Nikkei (-0.8%) erased all its previous session gains after the Japanese Yen advanced against the Greenback. The Shanghai Composite slipped 0.4% after the Purchasing Manager Index for February 2019 fell to 49.2 – the weakest reading since February 2016, while the Hang Seng Index ended 0.4% lower. ASEAN stockmarkets, meanwhile, ended mostly lower on Thursday. 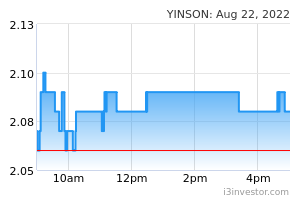 U.S. stockmarkets extended their losses after erasing all their intraday gains that left the Dow to fall 0.3% on concerns over the weak Chinese economic data, coupled with uncertainty over the potential trade deal between U.S. and China. On the broader market, the S&P 500 declined 0.3%, dragged down by the basic materials sector (-1.3%), while the Nasdaq finished 0.3% lower. European indices edged mostly higher after recovering their intraday losses as the CAC and DAX chalked-up 0.3% gains each. The FTSE, however, fell 0.5% on weakness in corporate earnings like RollRoyce Holdings PLC (-2.8%) and RSA Insurance Group PLC (-0.8%). 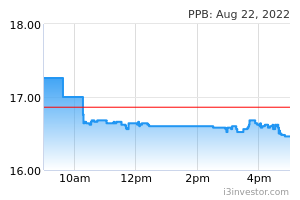 With few impetuses available, we think stocks on Bursa Malaysia will end the week on a dour note. As it is, the recently concluded earnings reporting season brought few cheers to market players amid the still mixed-to-lower results that also provided little optimism for significantly improved earnings recovery in 2019. In addition, the market’s wariness has returned after a spate of weak global economic data increasingly points to a slower pace of growth over the coming quarters. Therefore, the continuing insipid trend is could see the key index retesting the 1,700 points support over the near term. If it gives way, however, the support is then pegged at the 1,694 level. On the other hand, the resistances are at 1,710 and 1,720 respectively.  Similarly, we see the lower liners and broader market shares maintaining their consolidation spell as their indices – the FBM Small Cap, FBM Fledgling and FBM ACE remained toppish and this could deter fresh buying for now. 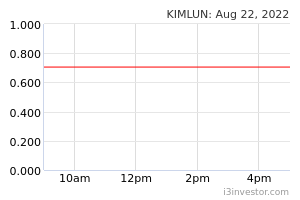 Kimlun Corporation Bhd’s 4Q2018 net profit fell 5.6% Y.o.Y to RM22.9 mln, helped mainly by the higher contribution from the manufacturing & trading segment that offset the weakness in both the construction and property development segments. Revenue for the quarter contracted 16.5% Y.o.Y to RM310.7 mln. For 2018, cumulative net profit slipped 10.7% Y.o.Y to RM61.1 mln. Revenue for the year, however, gained 2.7% Y.o.Y to RM1.01 bln. The reported earnings came above our expectations, accounting to 115.7% of our full year estimated net profit of RM52.8 mln. Meanwhile, the reported revenue also came above our expectation, accounting to 107.5% of our full year revenue forecast of RM941.5 mln. The better-than-expected earnings was due to higher contribution in the manufacturing & trading segment in fulfilling orders for the the KVMRT Line 2 project and IBS components sales order to Singapore. As the reported earnings came above our estimates, we tweaked our earnings forecast higher by 13.0% and 15.8% to RM67.4 mln and RM73.3 mln for 2019 and 2020 respectively to account for the higher contribution from the manufacturing segment. We maintain our BUY recommendation with a higher target price of RM1.65 (from RM1.60) as we deem that its PER valuations of 6.2x and 5.7x for 2019 and 2020 respectively are attractive as they are at the lower-end of the construction industry average of 9.0x. Our target price is derived from ascribing an unchanged target PER of 9.0x to its 2019 fully diluted construction earnings and PER of 6.0x (unchanged) to its fully diluted manufacturing earnings, while its property development segment’s valuation remains unchanged at 0.6x its BV due to its relatively small-scale development projects. Suria Capital Holdings Bhd’s 4Q2018 net profit sank 54.8% Y.o.Y to RM8.0 mln, mainly due to the decline of port operations business after total tonnage handled (fertiliser, wood products and general cargo) fell 5.0% Y.o.Y to 7.6 mln and higher overhead costs. Revenue for the quarter declined 25.4% Y.o.Y to RM85.5 mln. For 2018, however, net profit added 8.3% Y.o.Y to RM53.0 mln. Revenue for the year climbed 20.4% Y.o.Y to RM400.5 mln. The reported earnings came below our expectations, making up to 88.9% of our net profit estimate of RM59.6 mln. The reported revenue also came slightly below our expectations, amounting to 98.5% of our full-year forecast of RM406.7 mln. The weaker-than-expected revenue was due to higher amortisation of its concession asset and higher effective tax rate at 29.4% vs. our estimate of 24.0%. Following the weaker-than-expected results, we trimmed our net profit forecast by 10.6% and 8.0% to RM63.3 mln and RM70.9 mln for 2018 and 2019 respectively, to account for the margin compression from the ports operation segment, coupled with higher effective tax rate at 28% (from 24%). 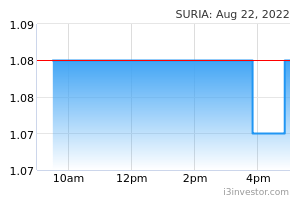 Still, we maintain our BUY recommendation on Suria, but with a lower target price of RM1.70 (from RM1.83). The total contract value, assuming the extension options are fully exercised, includes the Bareboat Charter Contract and the O&M contract worth US$617.1 mln and US$284.7 mln respectively. 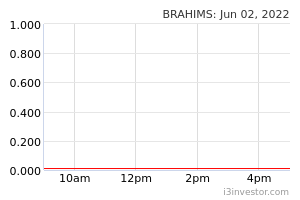 Brahim’s Holdings Bhd (BHB) has fallen into Practice Note 17 (PN17) status after its shareholder equity fell below the mandated 25% threshold. The group is now an affected listed issuer with risks of being delisted. 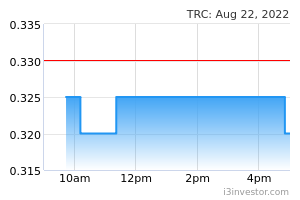 TRC Synergy Bhd's civil servant housing development project in the administrative capital of Putrajaya has been axed by Perbadanan Putrajaya Corp on grounds of national interest. 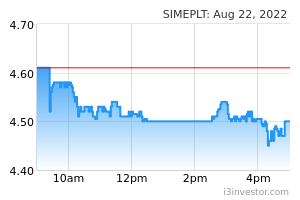 Sime Darby Plantation Bhd's 2Q2018 net profit plunged 70.0% Y.o.Y to RM129.0 mln, from RM429.0 mln in the preceding year, dragged down by lower crude palm oil (CPO) and palm kernel (PK) prices, as well as higher finance costs. Revenue for the quarter also decreased 14.2% Y.o.Y to RM3.5 bln, from RM4.09 bln last year. 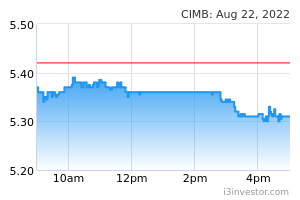 CIMB Group Holdings Bhd‘s 4Q2018 net profit rose 5.4% Y.o.Y to RM1.12 bln, from RM1.06 bln in the same quarter a year ago – due to improved performance in the commercial banking and group funding. Revenue for the quarter, however, lost 9.8% Y.o.Y to RM4.07 bln, from RM 4.52 bln previously. 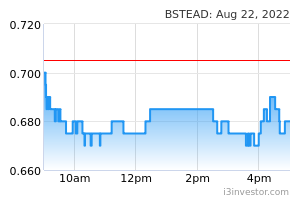 Boustead Holdings Bhd registered a 4Q2018 net loss of RM455.0 mln vs. a net profit of RM77.1 mln in the prior year’s corresponding quarter, due to provisions and impairments in its heavy industries division and plantation losses. Other divisions also recorded lacklustre results. Its revenue for the quarter was also flat at RM3.02 bln. Tadmax Resources Bhd has announced the resignation of three directors including its Deputy Managing Director (MD) Datuk Aldillan Anuar, who is the son of the company’s MD and major shareholder, Datuk Seri Anuar Adam. Meanwhile, other directors that resigned include Executive Director Datuk Noel John Subramaniam and Independent Non-Executive Director, Datuk Samsuddin Abu Hassan.